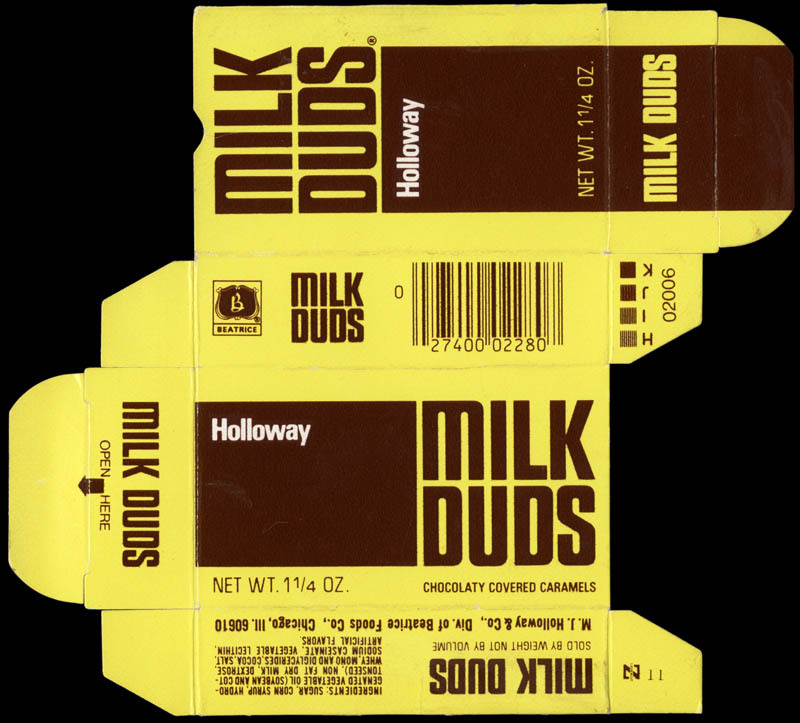 For this week’s edition of Wacky Wednesdays, I’m going to cover the original Wacky Packages parody for Milk Duds – Milk Muds. This has long-been one of my favorite Wackys, and I think that goes back to when I first saw this sticker as a kid. 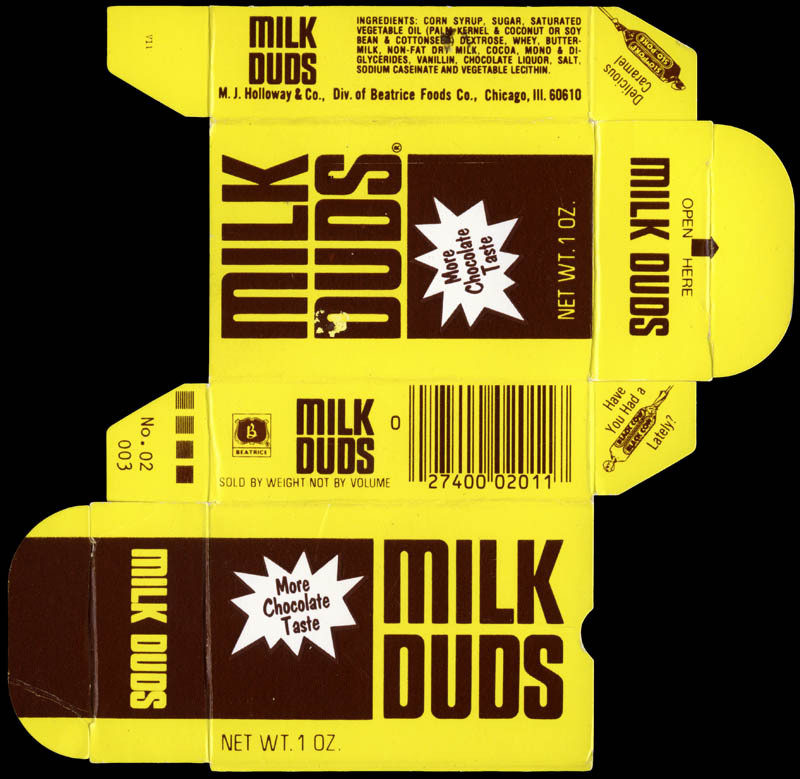 Milk Duds were, and remain, one of my go-to treats when I go out to the movies. I love ’em. That’s everything for today’s edition of Wacky Wednesdays. 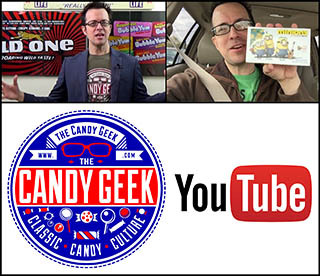 Today’s piece was a long-time coming, and I hope you enjoyed the look at this seldom-encountered candy box. Hope to see you back here tomorrow! 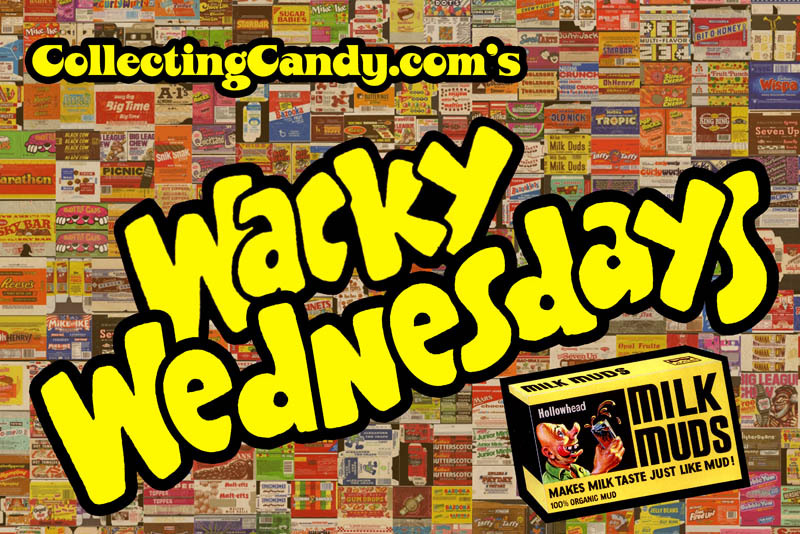 This entry was posted in 1970's, Boxed, Topps, Wacky Packages and tagged 1970's, 70's, candy, caramel, chocolate, collect, collectible, collecting, collection, confeciton, confection, confectionery, Hershey, Holloway, packaging, retro, sweets, Topps, vintage, Wacky Packages, Wacky Packs, Wackys. Bookmark the permalink. 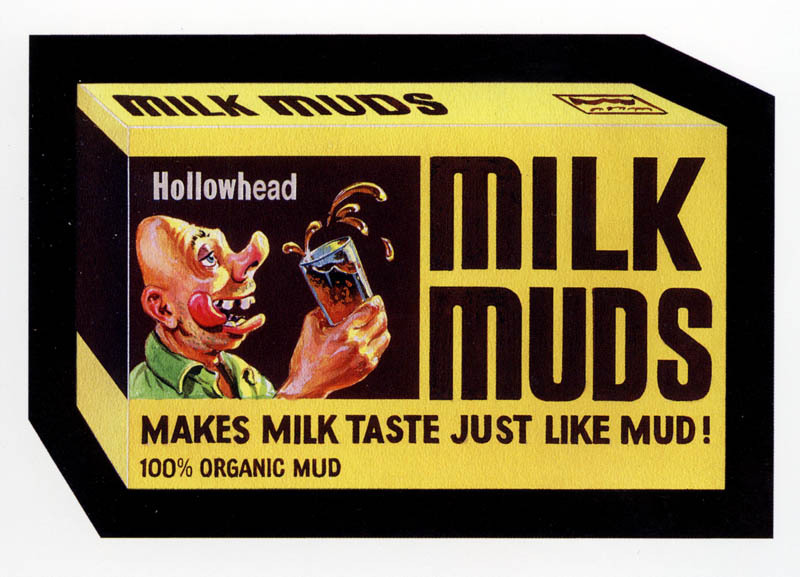 1 Response to Wacky Wednesdays – Milk Muds!